Having already appeared in a couple of Marvel movies, an Alien movie, and a movie where robots punch monsters, Idris Elba is now one step closer to winning Nerd Bingo as Variety reports he is in early talks to star in Star Trek 3. 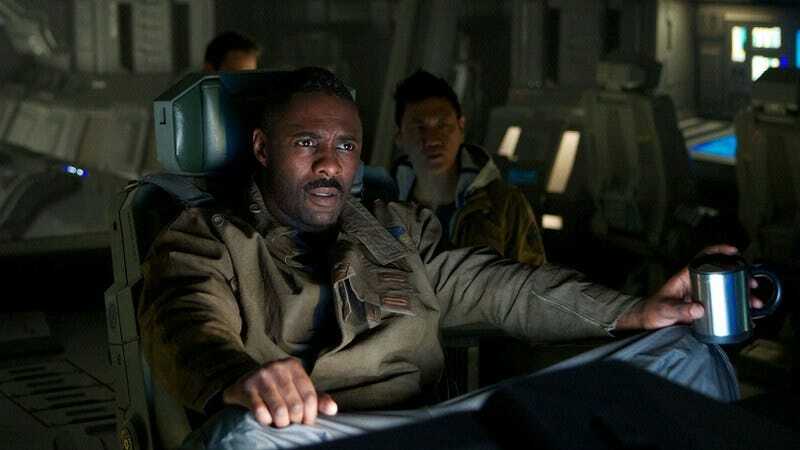 And while Elba’s talent for looking concerned while sitting behind the controls of a spacecraft is already well known, this time he’ll be using those powers for evil as the villain of the piece. Which villain, exactly, is still up in the air, although the always-reliable “early rumors” suggest that Chris Pine and his lovable gang of space explorers may be doing battle with the Klingons this time around. If this turns out to be true, expect Elba to don the wrinkly forehead prosthetic—followed, hopefully, by an album of Elba crooning Klingon drinking songs—sometime in between playing a gangster rapper in Harmony Korine’s new movie, a tiger in Disney’s new Jungle Book, not-Luther in Fox’s American version of Luther, some Edgar Allen Poe stuff, and the million other things Idris Elba has going on.